In recent years more and more schools are electing to encourage students to bring their own portable computing device to school (BYOD). Our aim is to have school wide BYOD teaching and learning across the curriculum as soon as practicable. For 2019, Years 9, 10, 11, 12 and 13 – all students are required to bring a device that meets our minimum requirements. Please note: a smartphone does not meet our minimum requirements. It is now essential that College aged students have a Laptop as NZQA assessments are going digital. 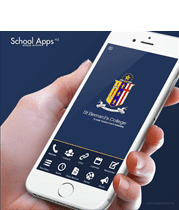 Year 7 and 8 students are not required to bring a device but the college strongly encourages students to bring a device. The College has a range of technologies to ensure Year 7 and 8 students have some access to portable devices. We ask you to study the recommended specifications below. It is important that students take responsibility for their own equipment, naming their device, handling it carefully, storing it securely when not in use and ensuring it is fully charged at the start of each day. Portable devices should be protected by a username and password. This should not be disclosed to other students and students should not share devices. Chrome-books are a cost effective device option that particularly suits the curriculum offered in years 7-10. Chrome-book devices are very reliable with many performing to the same standard after many years of service. Although not a requirement for Yrs 7 & 8 if parents considered a chrome-book option for their son from Yr 7 it would help spread the coverage of the school chrome-book programme and the ratio of devices per student would increase. Students will need a device that is suitable for typing and editing documents and accessing and using internet resources and tools. A compact laptop (approximately 11″ screen), Chrome book will most likely be the best fit for our learners and are preferred over a tablet device. The screen is big enough to support production of multi-media material, but compact enough to be mobile and it has a keyboard for faster input. A compact laptop (approximately 13″ screen) will most likely be the best fit for our learners and are preferred over a tablet device. Students at this level will often require a sufficiently larger screen, more memory and processing ability than an entry level Chromebook provides. They will also possibly need access to specific software that does not operate on a Chromebook. The most important factors to consider when purchasing a device are: battery life (it should last the school day without charging), wireless, compact and durable. Battery Life: Should last 5-6 hours to be able to get through a school day without recharging. Weight: Should be light enough for your son to carry around all day, anything more than 1.5kg including the case might be too heavy. RAM: Should be 4GB or more, or else programs may be much slower to run. CPU: Faster is usually better, but may also reduce batter life. Intel Atom CPU’s mean longer battery life, and Core i5 or i7 are more powerful but reduce battery life, so discuss your needs with the supplier. Robustness: Your device should be strong enough to survive a fall onto a hard surface. Insurance: While we take all reasonable care to protect students’ property, we cannot accept responsibility for devices lost or stolen, so make sure it is covered for these possibilities. Warranty: Minimum warranty is 1 year, but you may want to consider upgrading this to a 2 or 3 year warranty. Another factor is how long the device will be away for should it require repair under warranty, it could be a few days, or as long as a few weeks.